Almost open: Dogwood Arts Festival 2015 | Oh, the Places We See . . .
April 1st is when it really opens up around here. Tulips, daffodils, azaleas, and, of course, dogwoods — which bring on one of the loveliest festivals in the South: the Dogwood Arts Festival. It’s definitely not a one-day affair. Knoxville, Tennessee, springs to life as blooms come out in full force. From the painted pink Dogwood Trails to the frivolity on Market Square to the openings of artist studios, music venues, and gardens, Dogwood Arts Festival is somethin’ to see each and every April. For this year’s festival, we’ll be dedicating most, if not all, of our posts on what’s up with Dogwood Arts 2015. By no means can we see it all or do it all. But we’ll have fun trying. Please join us as we show you some of what we enjoy — trails, gardens, art in public places, Chalk Walk, Rhythm ‘n Blooms, and more. 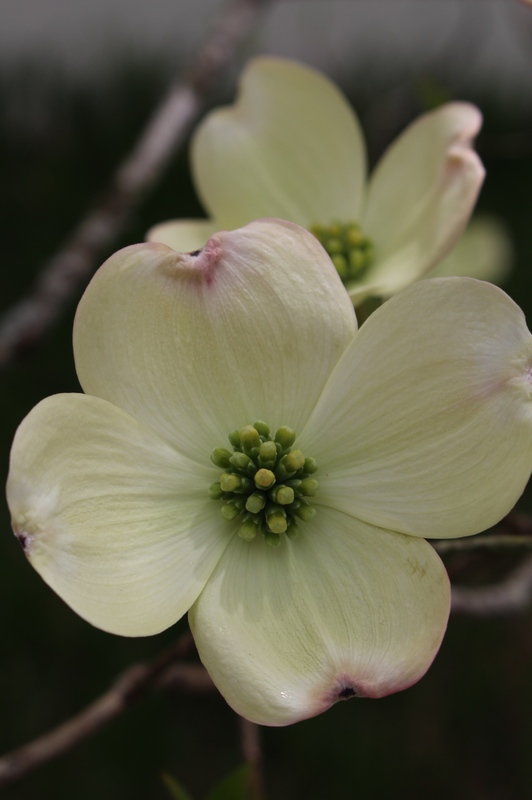 Might even throw in a few pics of dogwood blossoms just so you’ll see why Knoxville is the prettiest place in the South! 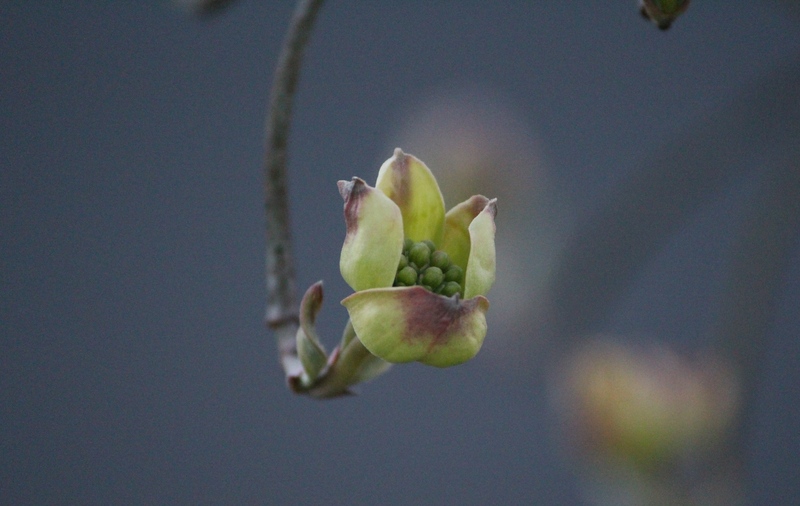 Just tiny buds now — dogwoods in Knoxville. Here’s hoping you’ll join us all this month as we salute one of our favorite festivals in Knoxville: the 2015 Dogwood Arts Festival. 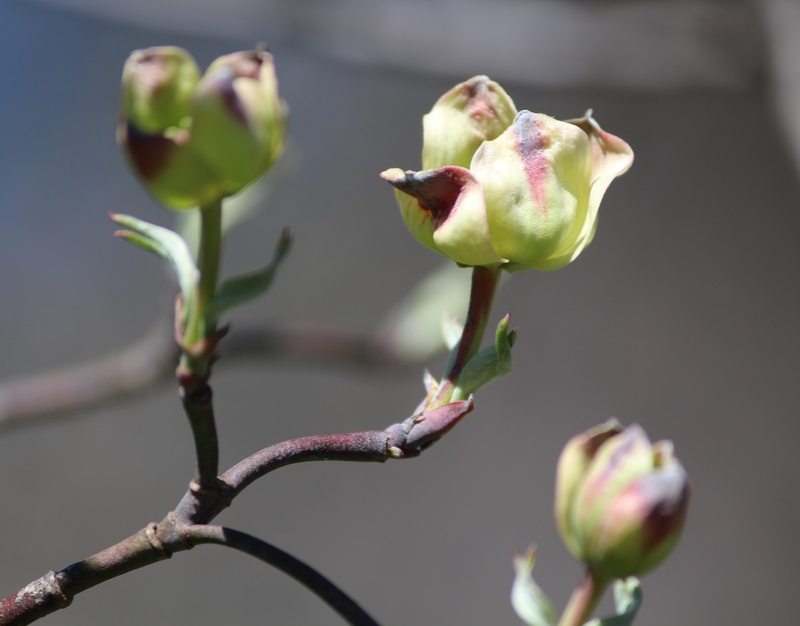 This entry was posted in Travel and tagged Dogwood Arts Festival 2015, Dogwood Bloom Watch 2015, dogwood blooms, Knoxville, Tennessee. Bookmark the permalink. I love dogwood! They are so beautiful. The first one, Wow! great DOF shot, Rusha! Thanks so much, Amy. Praise from you means a lot since you are one of the best photographers I follow. I’ve never had a photography course, so I’m accidentally taking a few good shots. I do, however, love it so maybe a course is in my future. Keep on counseling. And best wishes for a great spring. I’m mostly the shutterbug, but Bert held the branches still yesterday afternoon so I could get these shots even when the wind was blowing. He also drives me to most destinations, patiently pulls over to the side of the road, and then waits on me. Counts for a lot, right? The camera is a Canon EOS Rebel SL1. And I still don’t know much about operating it. Thanks for your kind comments. Please join us as we take a closer look at Knoxville this month.